Filed to: Where are all the phones at?Filed to: Where are all the phones at? Where are all the phones at? One of the biggest challenges for a hardware startup is to actually create a finished product. But another is actually delivering the product to the customers that paid for them. It’s a common problem. And based on the recent frustrations of people who ordered Andy Rubin’s super hyped new phone, Essential Products is running into some trouble with the second part of that equation. Apparently, it’s pretty quiet down in Essential town. On August 16th, after months of delays, the company finally started telling some early customers who had pre-registered to purchase the device that their phones had been built, and that they would be shipped within seven days after payment. But posts on Reddit and Twitter reveal that the company hasn’t delivered on its promises. That news comes despite multiple customers saying that their credit cards have been charged, and that shipments were supposed to go out within 24 to 48 hours. When we reached out to the company directly for comment, a spokesperson insisted that phones were already being sent out. We followed up and pointed to the many people complaining about delayed shipment, and we haven’t heard back. In fact, upon scanning Twitter and Reddit, we haven’t been able to identify a single person who isn’t a member of the press who has actually gotten their device. Not a single celebratory photo or enthusiastic tweet. Is it possible some phones are out there as Essential claims? Of course, but we haven’t seen them. On Amazon and Best Buy, the Essential Phone is still listed as a pre-order, with shipments scheduled for September 1 and September 8, respectively. It seems that unless you were in the earliest batch of people to register to purchase the phone, you could be waiting a long, long time. Now you could just chalk all this up to a new company struggling to get products out the door, but that’s not much of a consolation to buyers waiting for a phone that has already been heavily delayed. Then you add in the issues we encountered with the PH-1's camera and now you’re wondering if Essential really has its act together? Update 4:55PM: After contacting a spokesperson for Essential, we have once again confirmed that phones are starting, for real this time, to be shipped out. And the company has put out an update on Twitter as well, so you know they mean it. 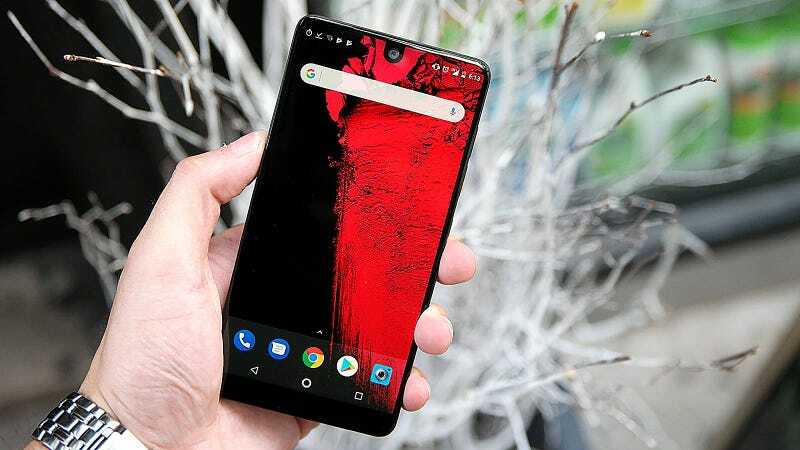 Have you gotten your Essential Phone yet or even so much as a notification, or do you know the gremlin that has spirited them away? Hit me up at sam.rutherford@gizmodo.com.